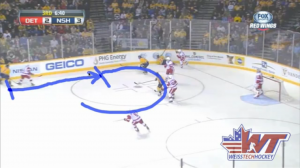 In this post we’re dissecting Pavel Datsyuk’s end-to-end goal against Nashville. As great as the individual effort was, there are quite a few team details that really made this play possible. 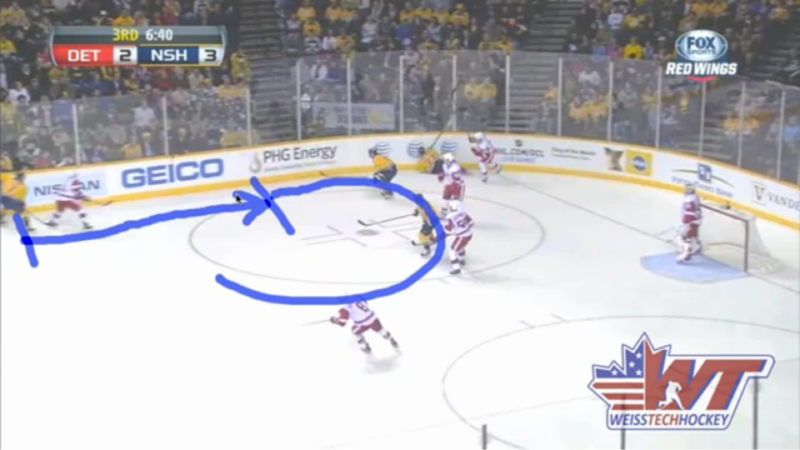 It starts with Datsyuk providing proper support for his defenseman in the defensive zone. 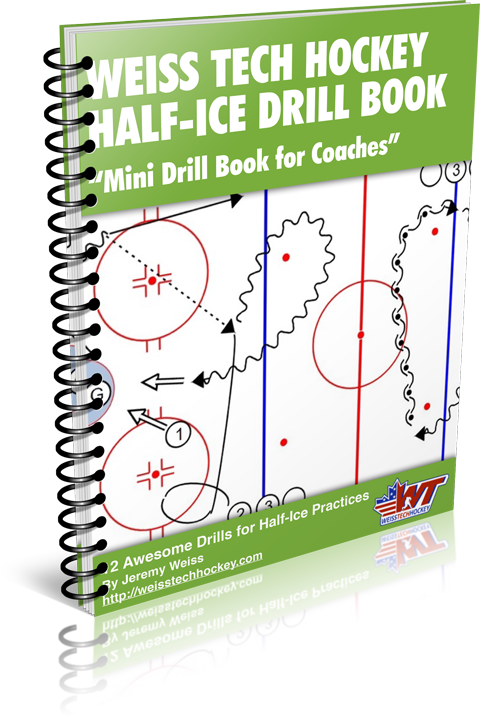 He picks up the puck and initiates the breakout to the right winger. After making the breakout pass, he follows up the play, providing mid-lane support on the breakout. As the breakout is happening, the weak-side winger blows out of the zone, pushing the opposing defenseman back, which opens up space for Datsyuk to wheel. The play finishes with the opposing defenseman reaching for the puck, and Datsyuk eats him alive. 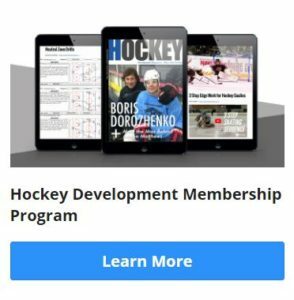 Great individual effort, made possible by well-structured positional play.